There are several factors that play an important role in establishing your brand. When most people think of a brand, they usually think of elements such as logos and colors. However, there are several other components that also play a role in establishing your brand identity. Establishing consistency is a staple in your brand presence. It is crucial that your brand keeps this consistency across all of your brand’s touchpoints. This includes social media, print advertising, vehicle wraps, radio ads, videos, websites, and even in how you present your brand in person. Each of the following elements can assist your brand’s recognition across all mediums. A brand sheet is home to all of your brand's identifiable characteristics. Logos are the focal point of your brand, as well as the first impression your brand gives. Your logo should be memorable and should stand out in a crowd. Logos come in a variety of styles, shapes, colors, and complexities. Some of the simplest logos are most effective. FedEx, Nike, and Google all have extremely simple logos, however they are immediately recognizable all over the world. Making sure you work with a designer who understands the nuances of logo design is key to developing an effective logo for your brand. There’s a pretty good chance you can recognize your favorite brands just based off of their iconic colors. McDonald’s – red and yellow; Coca Cola – red and white. Typically, a brand should be associated with one or two colors that help in establishing a recognizable brand identity. On rare occasion three colors may also be appropriate. Choosing your brand’s colors is important. Colors can naturally convey emotion and feeling, as well as establish a continuing theme. The colors that represent your brand have a lot of weight in the way your brand is perceived. This may be one of the most overlooked elements when it comes to putting together your brand. Look no further than Apple’s brushed metal texture to see how a texture can be an effective brand element. Texture, like color, can also help to set the mood for your brand. Clean patterns would do well for an elegant brand, while grunge textures can really establish the perfect mood for a musician’s brand. Just like textures, icons also play a subtle but important role in your brand’s perception to the public eye. Icons are used across all kinds of print and media advertising and possess various styles that can be immediately and effectively attributed to your brand. Icons often work well when space is limited, but something eye-catching can make the difference in your strategy. Choosing the right font is another crucial piece in establishing your brand strategy. Does it represent your company accurately, while conveying the tone you are trying to portray?Consistently using the same fonts is critical to establishing your brand’s identity and feel. Also having a secondary font can help to compliment your main font choices as well. Whether it be on social media or advertising across any other medium, photography is used by virtually every brand. Ensuring your are consistent in your style of photography is another great way to establish a how your brand translates to your target market. The way you lay out your content for your viewers should be consistent, just like any other element of your brand. Being creative in this approach, while remaining simple and functional is a great way to solidify your overall appearance. Just like photography, your brand’s illustration style is also a great way to make your brand instantly recognizable across all mediums. Sound is another one of those elements that are often overlooked. However, several large brands have instantly recognizable melodies that help them to anchor their advertisements to their brand. Intel is a great example, and if you’ve ever heard it then you know how memorable it can make your brand. [dt_sc_titled_box title=”What’s next?”]We believe in establishing a rock-solid brand for our customers, because we know how important it is to be instantly recognizable, no matter the medium. 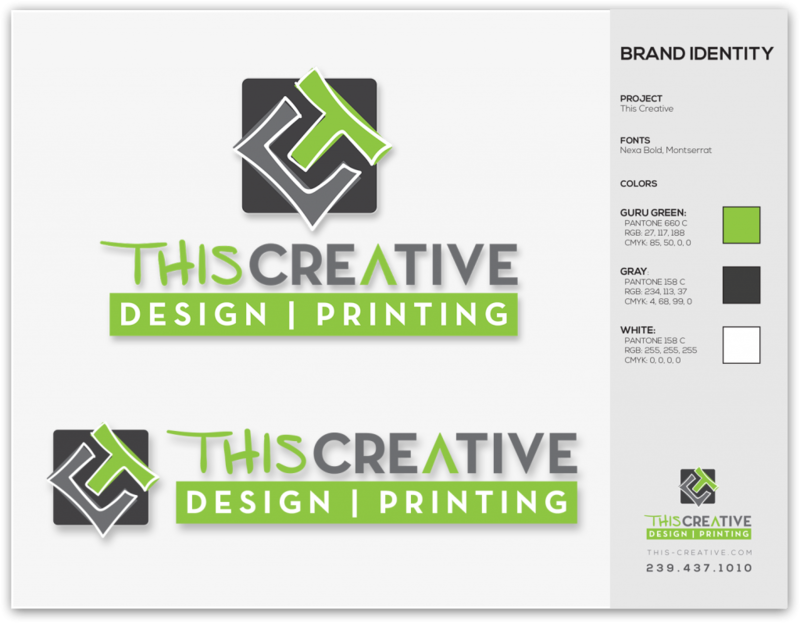 At This Creative, we will go above and beyond to make sure your company or project has what it takes to stand out in a crowd.